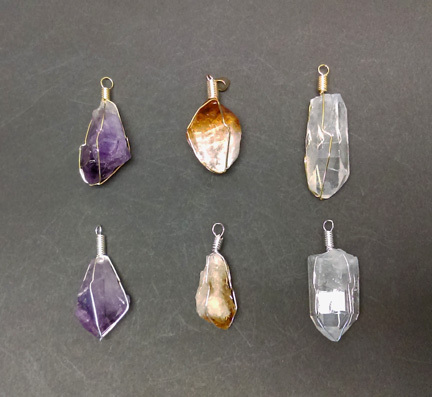 These Wire Wrapped Pendants each contain an unpolished crystal point. Can be purchased in Amethyst, Citrine, Quartz, or an assortment of available styles. Approximately 1"L X 1/2"W. Comes with 18" gold or silver plated chain.